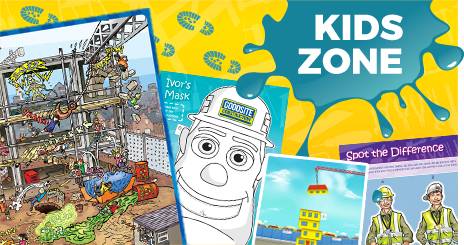 Ivor Goodsite’s Hoarding Competition 2019 – entries close 3 May! 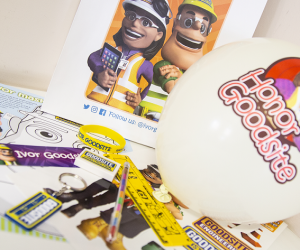 My name is Ivor Goodsite and I’m the owner and site manager of Goodsite Construction. I want children to be aware of the dangers of playing on a construction site but also to know how great it is to work in this industry! There are a number of products which can be purchased to give to the children Ivor and Honor meet, as both a surprise and also a reminder of their day. 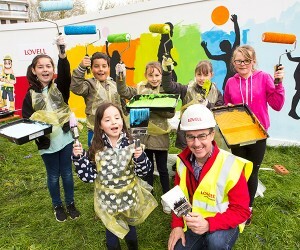 Ivor Goodsite’s Hoarding Competition enables children of all ages to unleash their artistic skills on site hoardings which become large canvases for their imaginative creations. 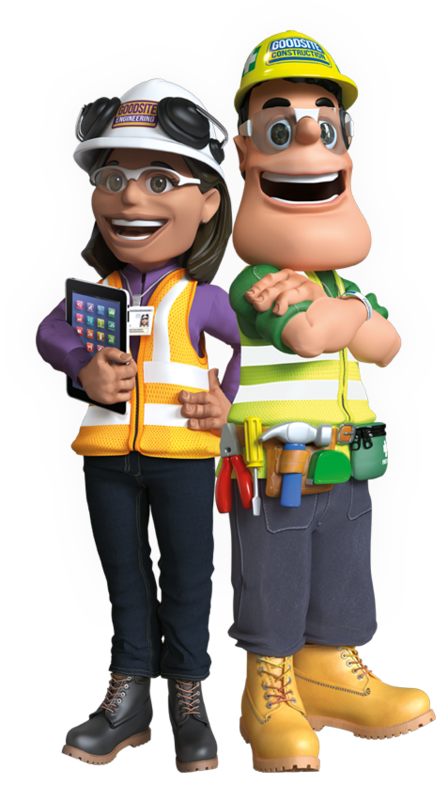 A downloadable version of the Ivor Goodsite Building Site Safety presentation is available in both English and Welsh. 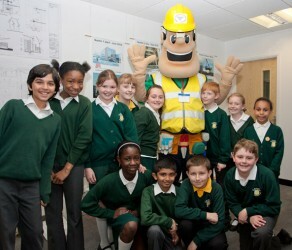 Check out our selection of photographs of Ivor and Honor Goodsite at various different events.